In the subcompact segment, the Kona sets the standard for interior luxury. Its small size makes it an ally in traffic, but, inside, you never feel shorted on head- and legroom. The cabin also sports high-end materials, making you feel like you're getting plenty of bang for your buck. The Honda CR-V is a compact crossover, making it slightly more spacious by default. The seats keep passengers comfortable for the long haul, thanks to their wide, supportive cushions. There's hardly anything to complain about here, though we do think that the Kona gives off more of a luxury vibe with its higher-quality cabin materials. Every single Kona comes standard with a 7-inch infotainment touchscreen that's quick to respond to your input. The infotainment system also comes standard with Android Auto and Apple CarPlay capabilities. This technology displays smartphone apps on your central touchscreen and gives you access to your phone's voice controls. Now, there's no need to look away from traffic. All but the base CR-V come standard with Apple CarPlay and Android Auto. Honda's HondaLink system is somewhat notorious though. Before you drive a CR-V home, make sure you can live with the sometimes-finicky touchscreen. The Kona's safety lineup will help you feel at ease, even in breakneck highway traffic. Add the Hyundai Smart Sense package for items like lane-keeping assist and forward-collision mitigation. The latter feature can actually apply the brakes to help you avoid an accident. All models come standard with a rearview camera for extra visibility in a tight spot. 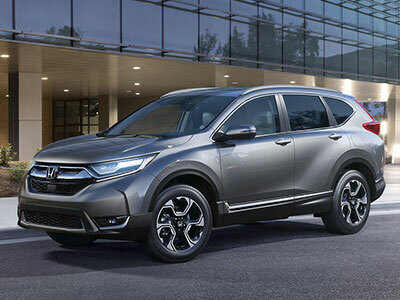 The Honda CR-V also offers the full lineup of safety technology, including the aforementioned forward collision mitigation system. However, Honda's version of this system has been known to overreact, crying wolf when no collision is actually imminent. The CR-V cruises to the forefront in this competition. Depending on powertrain configuration, this compact crossover earns up to 28 city/34 highway mpg. Its capable acceleration and composed highway ride make it an excellent choice for commuters. Of course, the Kona puts up a good fight. 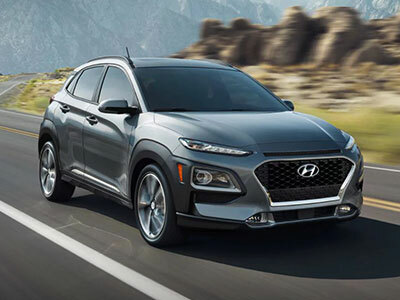 In the 2018 Hyundai Kona, you can earn up to 28/32 mpg. We also like the Kona's smooth ride and quick acceleration. Both the Kona and the CR-V offer all-wheel drive for increased traction on icy streets. On the road, both small crossovers deliver a strong performance. However, the 2018 Hyundai Kona is our first choice. Inside, its refined cabin makes you feel like you've spent big bucks on upscale comfort. Standard hands-free tech features keep you connected and maximize safety. High-tech driver aids actively look for danger so you can remain vigilant on the highway.